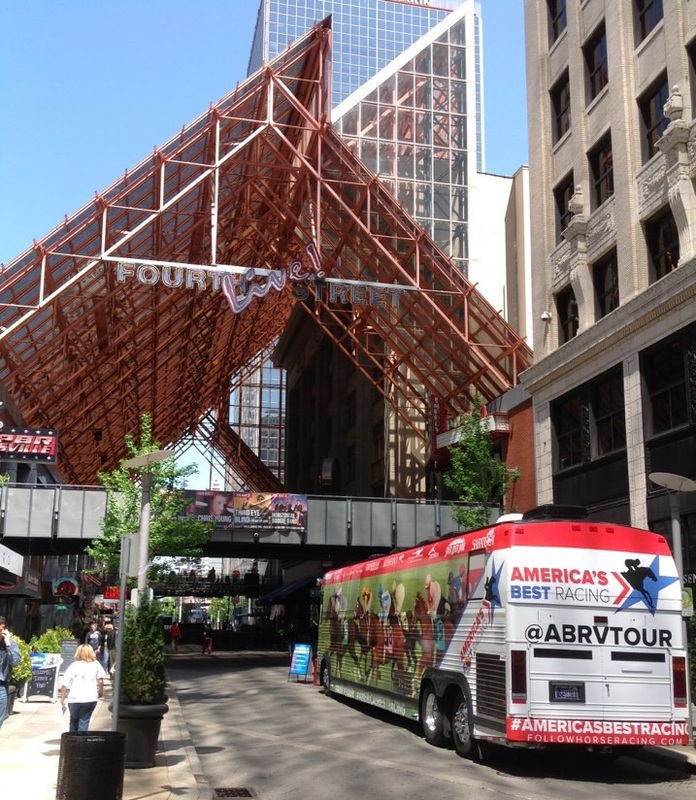 The ABRV Tour bus and our six brand ambassadors rolled into Louisville on Tuesday with our excitement level at an all-time high. It’s been a thrilling ride thus far, but to be in Louisville for Derby week, just knowing that we are going to be attending all three Triple Crown events and not knowing who will emerge as this year’s top three-year-old, it’s what we signed up for. Our lone stop in Derby City on Tuesday was at Fourth Street Live!, which is Louisville’s premier downtown entertainment venue. During Derby week and for other big events, the entire block of Fourth Street is closed to vehicles, except the ABRV managed to get a prime parking spot inside. We got a strong amount of media attention in the morning, getting interviewed by local radio and TV stations in the area. With so many great restaurants at Fourth Street, foot traffic around lunch time was great. 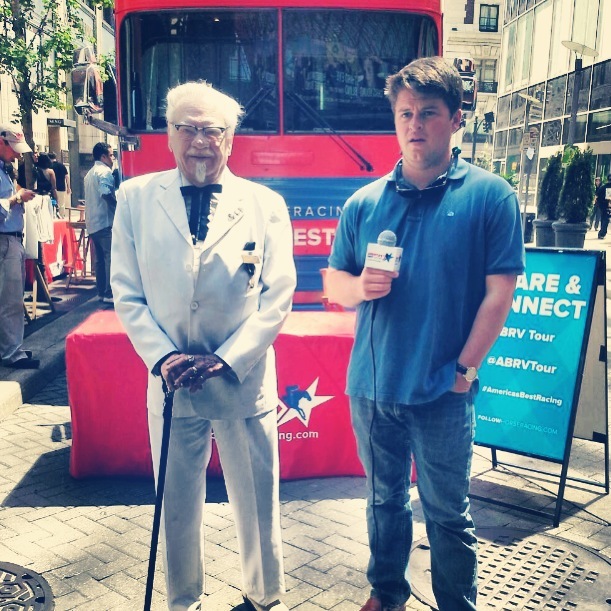 Hundreds of people saw our big bus outside and many stopped by to chat, signed up to win some free Preakness tickets and grabbed some ‘Derby Swag.’ We captured some great videos of our own while on site, and I even got a finger-lickin’ good interview with Colonel Sanders! Foot traffic at Fourth Street was steady going into the night, with a good crowd inside most of the restaurants for Happy Hour. 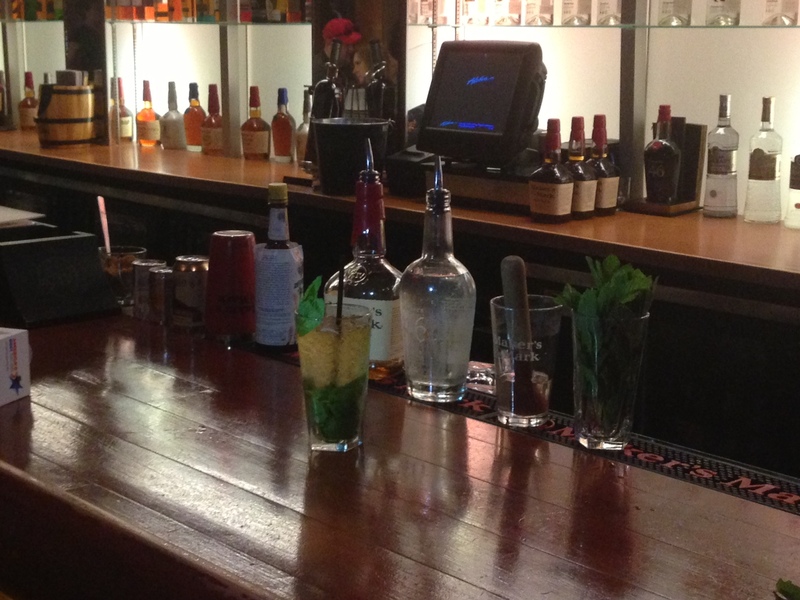 The official cocktail of the Kentucky Derby is the Mint Julep, so we sent Hallie Hardy around to a couple of the local bars to find out exactly what goes into the minty-whiskey drink that will be made thousands of times throughout this week. She got some solid video footage that we will release a bit later this week. Our team of ambassadors will host some young professionals for a lunch at Churchill Downs on Wednesday and then head to Waterfront Park in Downtown Louisville for the Fest-a-Ville which will feature some live music, riverboat races and a beer festival. 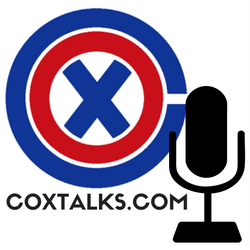 Be sure to check us out if you’re in the area and get in the game! Previous ABRV Tour Hits Louisville!